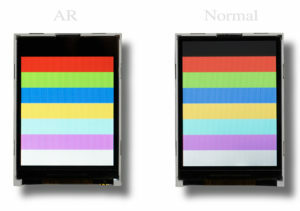 Yeebo Display Ltd now offer our standard range of TFT modules which can include Anti Reflective polariser. (AR) This greatly improves daylight viewing performance, enriches colours and avoids unwanted reflections. Our Industrial range has availability of 3 years and can include latest OLS technology Capacitive touch panels. 1.44 inch to 12.1 inch. Photo shows our 2.4 inch module, available in TN – TN AR and latest IPS variants. Samples and demos available.